Many people rely on glasses or contacts to see correctly. If you are one of these people and you are tired of wearing glasses or contacts, you should consider Lasik surgery at Eye Doctors of Arizona in Phoenix, AZ. A: Lasik is a non-invasive laser surgery that can correct refractive errors including nearsightedness, farsightedness, and astigmatism. Q: Are There Prescription Parameters For Lasik? A: The strength of your prescription would determine whether or not you would be a good candidate for Lasik. If you are nearsighted, your prescription cannot be any higher than -11.00. If you are farsighted, your prescription can be no higher than +5.00. Finally, if you have astigmatism, your prescription can be no higher than 5.00. Q: How Old Do I Need to Be To Get Lasik? A: To be a good candidate for Lasik, your eyes need to be fully matured. This typically occurs during your mid twenty’s. Q: Are There Any Medical Conditions That Would Make Me a Poor Candidate? A: Yes. If you are suffering from diabetes, rheumatoid arthritis, lupus or another type of autoimmune disease, or HIV/AIDS, you would be a poor candidate. Also, if you are pregnant or nursing, you should wait to have the procedure. Q: Are There Diseases of the Eye Than Make Me a Poor Candidate? A: Your eyes need to be healthy to be a good candidate for Lasik. If your eyeglass prescription fluctuates and has not been stable for a year, you would be a poor candidate. If you have glaucoma, macular degeneration, dry eye syndrome, or a history of eye injury, you won't qualify for the procedure. Q: How Long Does Lasik Surgery Take? A: Typically, the procedure will only take 10 minutes per eye. The laser itself needs just 20 to 50 seconds to correct your vision. Q: How Long does it Take For Lasik To Heal? A: Barring any complication, it can take between two and seven days for Lasik to heal. Q: Are There Restrictions After Lasik Surgery? A: To ensure proper healing, there are certain restrictions that you should follow. Rest: The day of the procedure, you should go home and take a nap. This will allow your eyes to rest. You should also avoid reading, using the computer, and other close up work. When sleeping, you should wear your eye shield so that you don't rub your eyes while you are sleeping. Avoid exercise: You should avoid any strenuous activity for the first three days. Don't lift weights or anything heavy for a week. Makeup: You should avoid wearing eye makeup for the first week. Also, don't use any type of lotion or face wash near your eyes. Finally, keep soap out of your eyes during the first week. Swimming: Avoid hot tubs and swimming pools for three weeks. 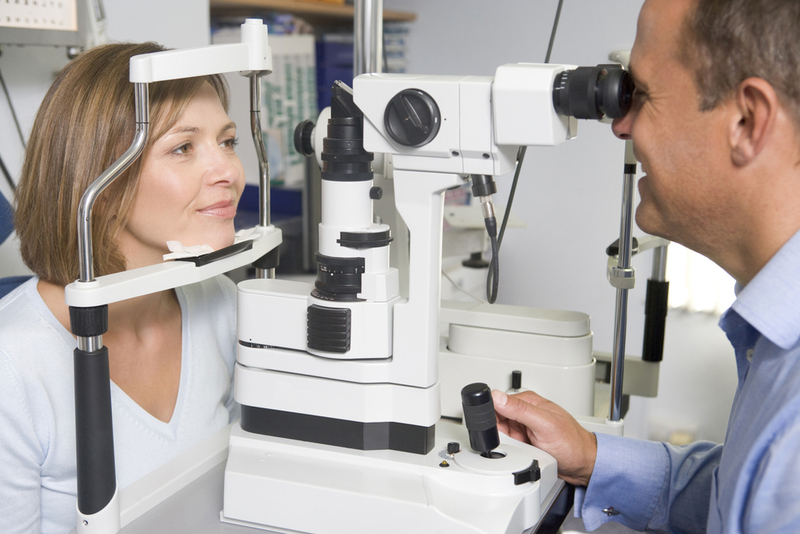 If you are considering having Lasik in Phoenix AZ, contact Eye Doctors of Arizona. You can schedule a consultation to see if you are a good candidate by calling our office at 602-207-8196!